Apple released its latest iOS 7.1 update for iPhone, iPad and iPod touch this week; the update introduced a few new features and brought in general improvements and bug fixes. The latest OS did not bring in any major features which could cause battery drain; however, there have been complaints about poor battery life on iOS 7 earlier and iOS 7.1 in the past week. 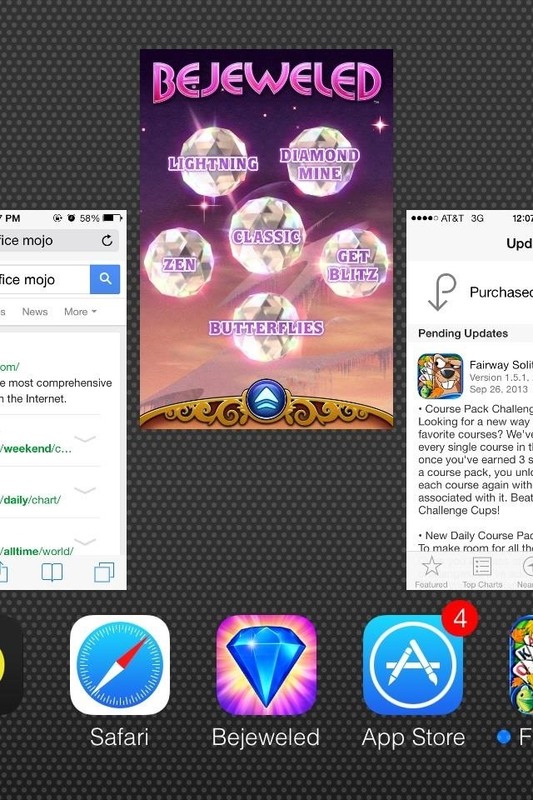 iOS takes care of suspending apps in the background. However, it is very much possible that apps wake up in the background to fetch content. Especially VoIP, mapping and streaming apps are hungry for network and drain the battery too. Force close any such running app by double clicking the Home button; fling the app card up to close it. This tremendously affect the battery life in any iOS device especially if you are in a habit of keeping 20s of apps open! After a few days, reset your iOS 7 device by holding down the power and Home keys at the same time for a few seconds. Apple logo will appear and you might feel improved responsiveness. In times when you are in no need of Wi-Fi or Bluetooth services, never forget to turn them off. These services slow down the devices by constantly updating and hence draining battery life. Simply turn these off from the Settings whenever you don’t need them. iOS 7 update introduced smarter background refresh / multitasking feature to the iPhones and iPads. This helps the applications to refresh their data in the background while you are working on other things. You can improve iOS 7.1 battery life by turning this feature off – if you don’t particularly need it. 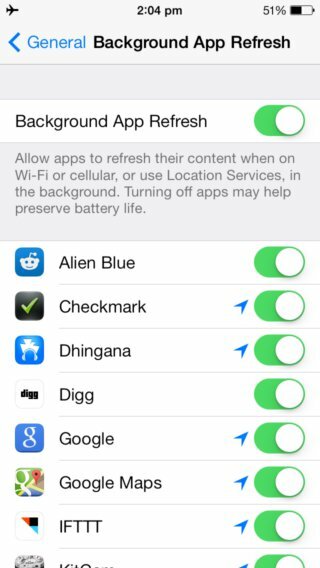 Go to Settings > General > Background App Refresh and flip the toggle switch OFF. You can also select to disable specific apps rather than turning the entire service off. We don’t necessarily need the location services unless we are using Maps or any other app using the location. It’s easier to enable location when you are using any such apps. Consider turning it off otherwise to increase iOS 7.1 battery life. Go to Settings > Privacy > Location Services and turn it OFF. 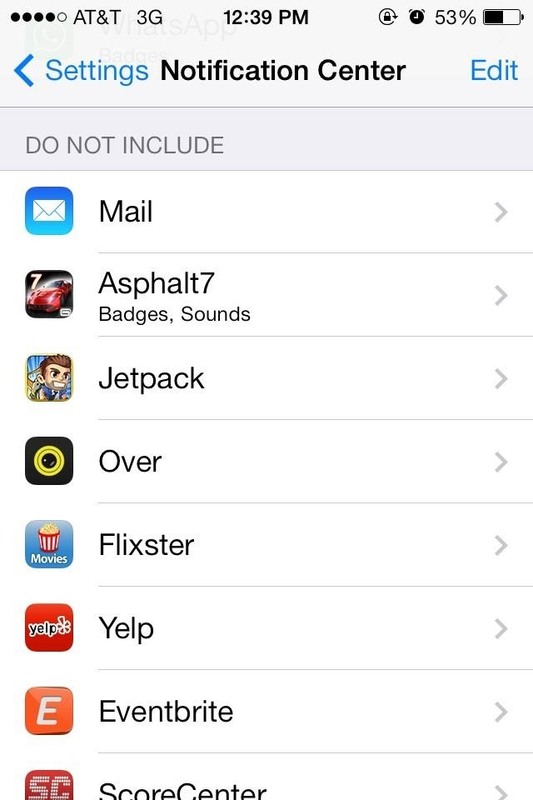 Similar to other services, you can choose to turn off Location Services for individual apps too. It is recommended to let your device go through at least one charge cycle a month: i.e. charging the battery to 100% and then completely using it down. Power cycling this way helps in getting accurate battery usage data and is good for your battery maintenance too. This is a very simple solution to speeding up your iPhone or iPad. If you are suffering from sluggish device after the iOS 7 update, try uninstalling unused apps. This will free up space on your device and run your gadget faster. Focus on deleting larger games which take up lots of space. For most of the games like Temple Run, information is still saved in the Game Center. Hence, if you decide to play them again, no worries of starting from scratch. Receiving notifications for every single app is not only annoying but also eats up resources of both data, battery and the processing speed. Make efficient use of Notification Center and go to Settings > Notification Center to disable notifications for apps you don’t require notifications for. From here, you can also adjust notification styles. As a helper, try to have more apps in Do Not Include list than your Include list. iOS 7 also brought in a number of animations effects to help users understand the layered elements of the UI. Some of these effects, like parallax, access gyroscopic data reducing the battery life. Disable these motion effects from Settings > General > Accessibility > Reduce Motion and toggle the switch. Spotlight searches a lot of content like Apps, Contacts, Podcasts, Mails, and more. While you might be actually using it only for a few things. Try to uncheck all the type of content you don’t want to search: Settings > General > Spotlight Search. We hope these iOS 7.1 battery life tips help you extend your iPhone or iPad’s battery life too. Also, don’t forget to switch the screen brightness to a little low as this age-old gadget battery tip seems to work always.